It is an honour to be featuring the renowned international yoga teacher, Daniel Rama. 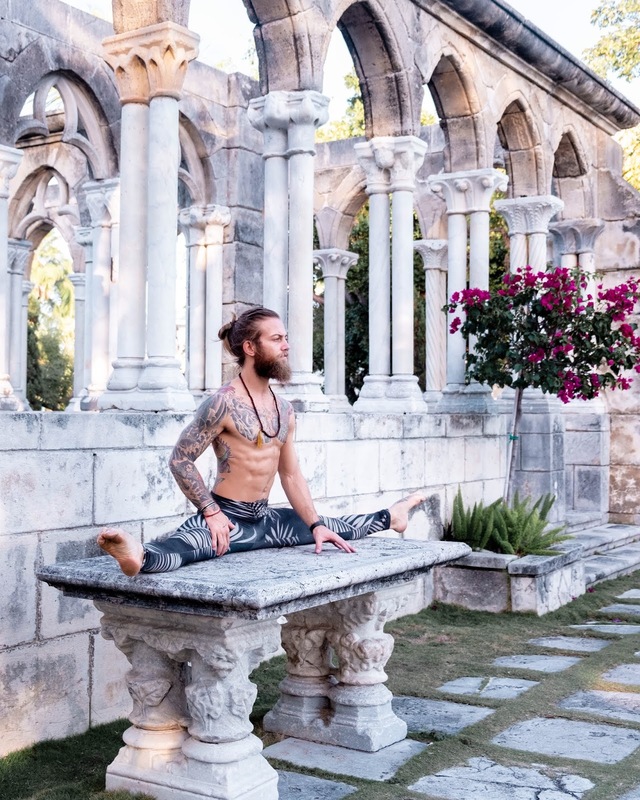 With an inquisitive nature Daniel decided there was more to life than following the path so many take, and with that he took a trip to Sivananda Yoga Ashram in the Bahamas to train as a yoga teacher. As you will soon learn in this story, he instills the true principals of the traditional practice and is an inspiration for ones own. 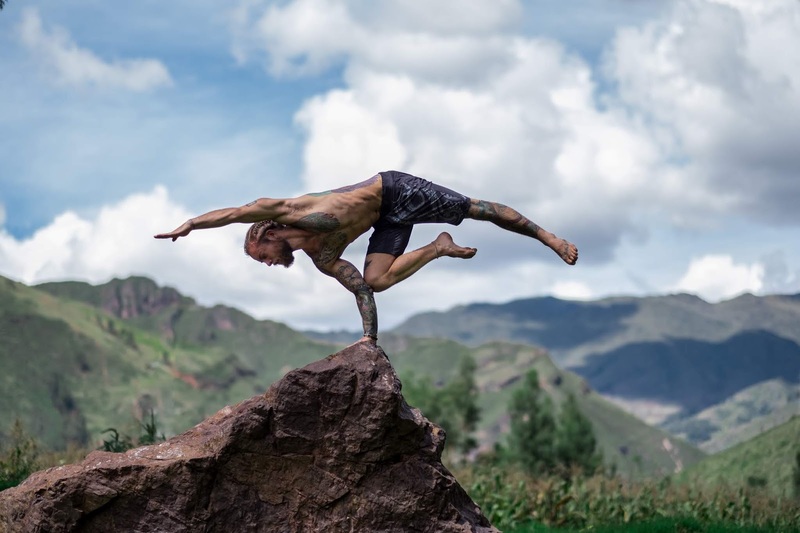 If you haven't already discovered him on instagram you're in for a treat.. his hair-raising yoga balances on cliff rocks and perfect inversions are pure yoga eye candy. This down to earth yoga guru even holds Q&A sessions through instagram live; 'Real-Talk with Rama' every Wednesday at 12pm. 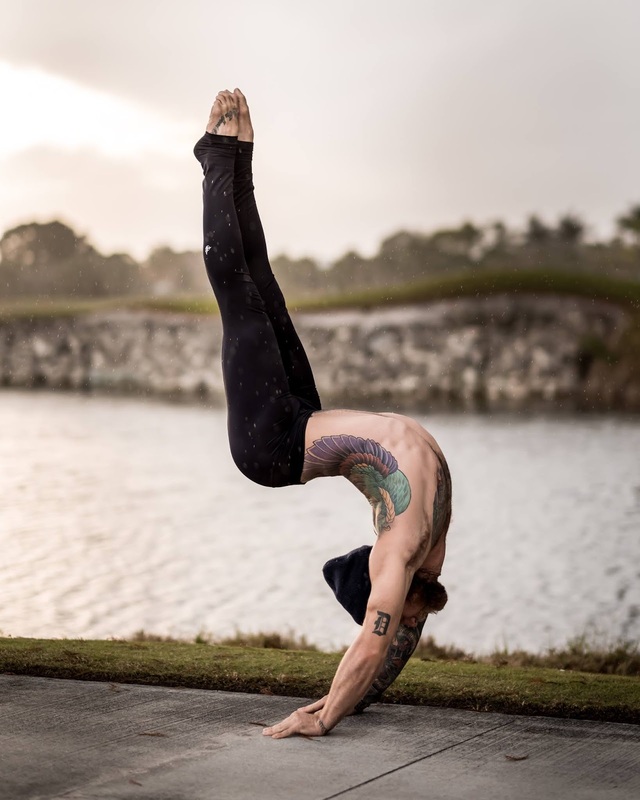 After discovering this guy I found myself looking for retreats he was holding and stumbled across his online handstand course. Considering it's my goal this year to become confident with inversions, I will definitely be signing up for this - click here to join me!! When I reached out to Daniel about featuring his story, little did I know I would get the most fantastic, no-nonsense interview about the practice and today's industry. Read on and you will see what I mean! Most importantly, how did it all start for you and why would you recommend yoga to others? After an accident that should have left me with severely impaired physical ability, I found myself in need of the type of healing our modern medical community often fails to provide. In many ways, the practice of yoga came into my life through pure necessity. Although I have first-hand experience of the profound benefits of sincere spiritual practice, I cannot recommend yoga, or anything else, to anyone. My only recommendation is that people seek to understand their strengths and weaknesses and identify their unique purpose in life. When one truly understands what they are supposed to do and where they are supposed to go, one will naturally indulge in activities that bring them closer to their goal. How do you see the yoga industry changing in the years to come? The yoga industry is a chameleon to the rest of the world. As a species, we are quite honestly lost. We have no idea who we truly are; and in a misguided attempt to find answers, we get caught up searching for answers where none will be found. Yoga is a scientific process through which one begins to experience reality as it truly is. 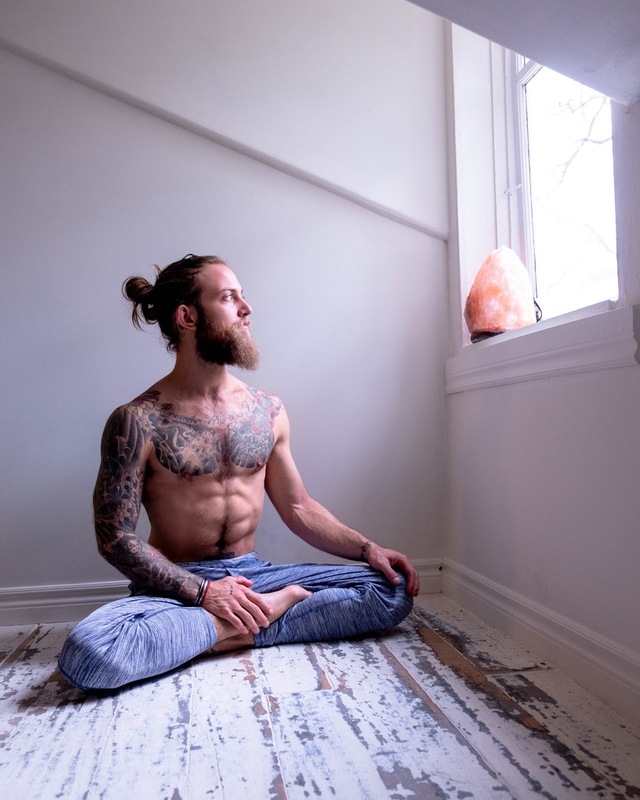 We have the tools needed to satisfy our search; and yet, the modern yoga industry tends to value relatively unimportant elements. In truth, I do not see yoga. I see a wonderful amalgamation of physical feats of asana; but I do not see yoga. I see practitioners taking steps in the right direction at best. Traditionally, yoga is the process of bringing one beyond the mere mundane experience of body and mind. The modern community however, is incredibly concerned with physicality and therefore barely scratch the surface of yoga’s potential. Misguided as mankind may be, we have a natural ability to learn from our successes and failures. The modern yoga community will continue with its superficial course of action; but eventually, people will begin to wake from their slumber. Most memorable place you’ve practiced? Fortunately, my younger self would not have accepted even the most elevated advice. I have always been stubborn. I will always need first hand experience. Advice is just words. What did it feel like to teach your first class back when you started? The first yoga class I taught was a 2-hour Hatha flow. Before the class, I remember how nervous I was to see people filing in. I remember the feeling of inadequacy. However, as soon as I finished repeating a Sanskrit invocation, I felt almost as if a great teacher entered my body and took control of the situation. During the class itself, there was no nervousness, no self-doubt. Although I was teaching my first yoga class, it felt as if I had been teaching for generations. What book (or books) have you repeatedly read or gifted to others? I have never been able to interest myself in books. To me, everything is fictional until I gain first hand experience; and books are second hand information at best. Spiritual literature can give aspirants basic direction, but ultimately, I find the act of sincerely observing the organic unfolding of Life to be a more powerful teacher. 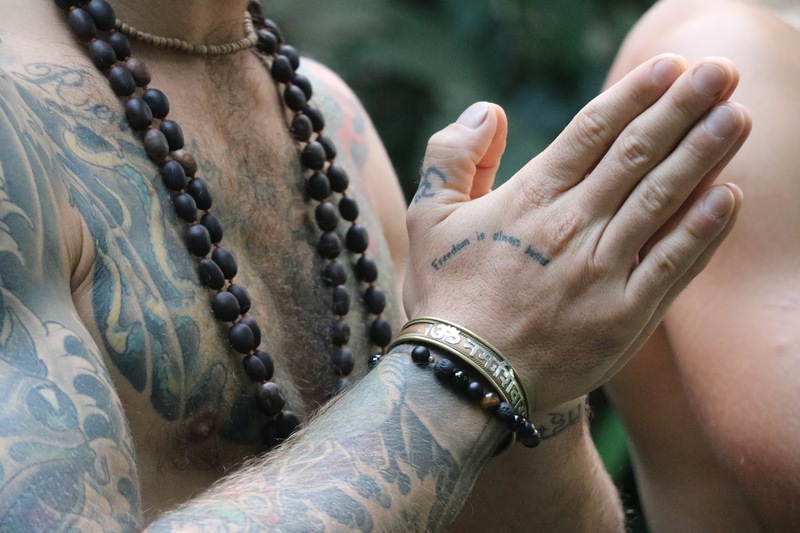 Whats on this year with Daniel: Yoga Teacher Trainings: March 4-28 in Barcelona, Aug 9 to Sept 2 in Bali. Regular international workshops and retreats. Visit www.danielrama.com/programs/#workshops for details.